Before I start, I wanna say that this is in no way sponsored or anything like that. I just purely wanted to share with you a perfume I've been obsessing over for months now. Saying I found my signature scent is probably a little drastic, but I really feel like it's the perfect perfume for me and a perfume I am not planning to live without for the next couple of years for sure. I am not quite certain if I have previously mentioned this before, but I have a 'slight' obsession with amber. The products that contain its smell to be precise. Now I find this quite interesting actually, as I've seen amber in its liquid form as a child on the trees but can't remember liking the smell, only the fact that it was sticky. But for the last couple of years I've been buying soaps, creams, reed diffusers and now perfumes all which contain amber. I just can't help myself, the smell of it makes me dizzy, intrigued, alert, relaxed yet allured and tempted for more. In combination together with other ingredients, amber smells so earthy and oriental, very musky and rich, so it's very feminine in my opinion. Certainly, and I can't stress this enough, amber and those type of perfumes are not for everyone. 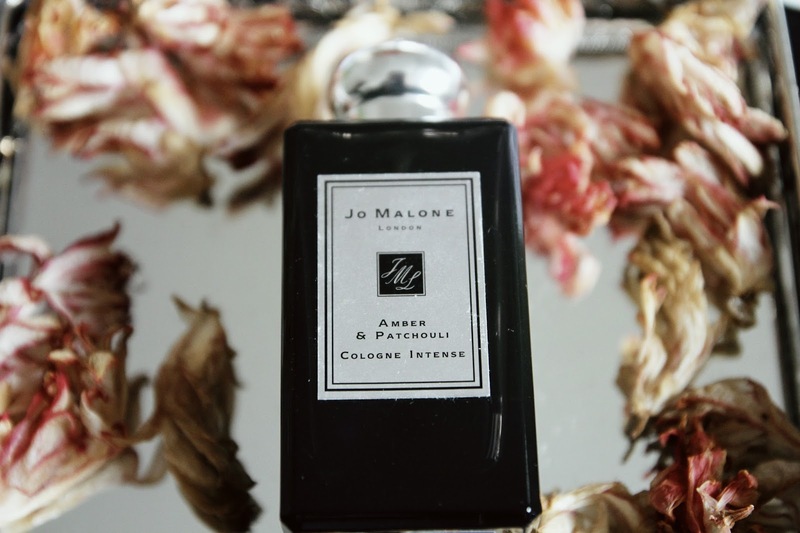 Yet, I found one, which I cannot live without at the moment - it's Jo Malone's Amber & Patchouli Cologne Intense. Normally, I would never spend more than a €100 on a perfume, but this beauty is worth every penny. 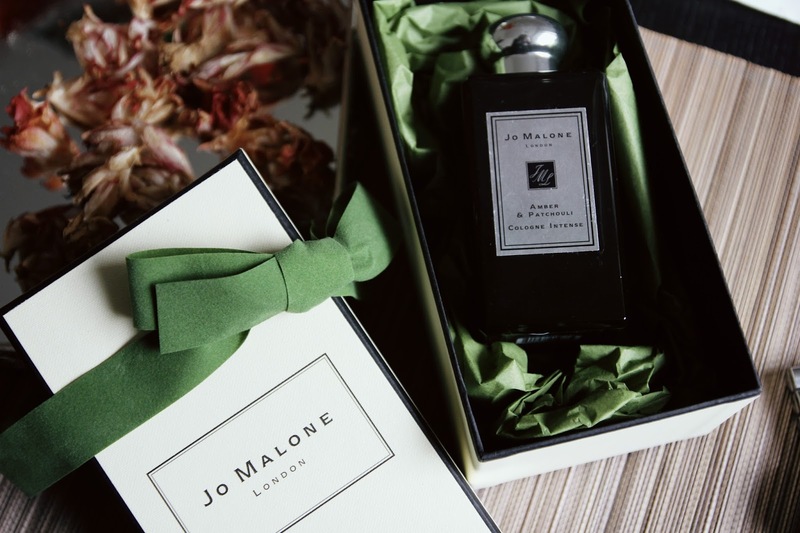 So right before Christmas I decided to treat myself to it, I wanted to try Jo Malone perfumes for a long time anyway so I didn't look for any more reasons why not. I actually already chose the next scent that I wanna purchase for spring/summer, so I highly recommend checking them out and I'm sure you'll find a scent you like. However, I have to say I didn't just go to the store and pick the strongest perfume they had, quite the opposite. It's like the scent found me. One evening a couple of months ago, I went grocery shopping and a group of girls my age passsed me down the aisle. I had to stop and ask what perfume it was. For a second I thought it was Jo Malone although I didn't even know why I had that thought. And then one girl said 'It's Jo Malone Amber & Patchouli', and I just smiled. I couldn't believe it because at that time I basically did not know the perfumes of this brand at all. So here I am a couple of months later, sitting and sniffing my wrist because I am still obsessed with it so much, despite wearing it every day. I call this a meant to be. Now I am not sure how they will smell in a warmer season, but I am sure my love for it will not fade. Another, similar perfume is actually very well known in Lithuania, I'm sure my readers from Lithuania will know this one - it's Juozas Statkevicius Eau de Parfum. I actually bought this one for my mom for Christmas a couple of years ago, but now it ended up in my collection because I just love it so much. Why? You guessed it, because of amber and patchouli in the ingredients. It's so seductive and unique, and lasts for hours! 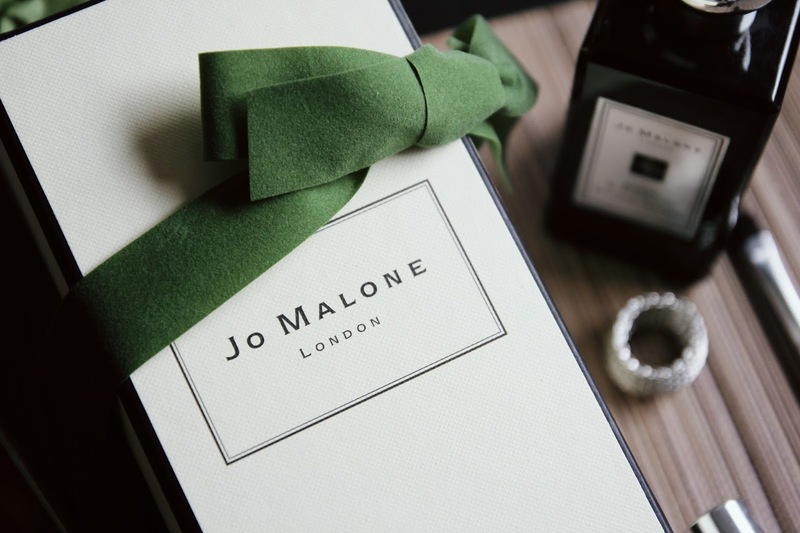 Although it's a lot stronger than Jo Malone, I love it just as much. If you ever get a chance please spray this on your wrist, you will be surprised how long it lasts and how amazing it smells after a while. 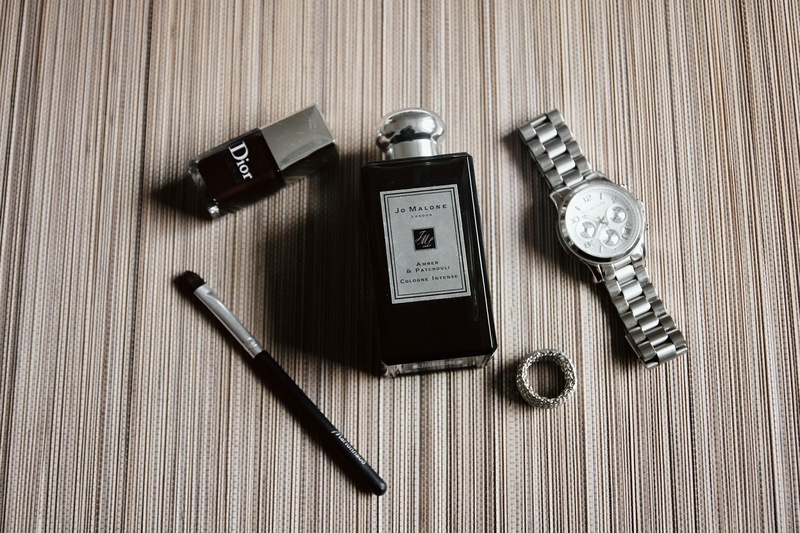 I find it quite funny how both bottles' designs are actually black and silver - they are definitely the kind of perfume that will make you want to conquer the world, and I don't know how about you but I wouldn't want to settle for anything less. Whenever I smell any of these perfumes, all I can think about this Givenchy commercial (which is my favorite commercial of all times). It makes me think of French techno (yes I'm talking my obsession with Gesaffelstein's music), wearing black leather and acting all mysterious. I honestly never thought I could write three paragraphs about perfume, but I hope you enjoyed reading this. 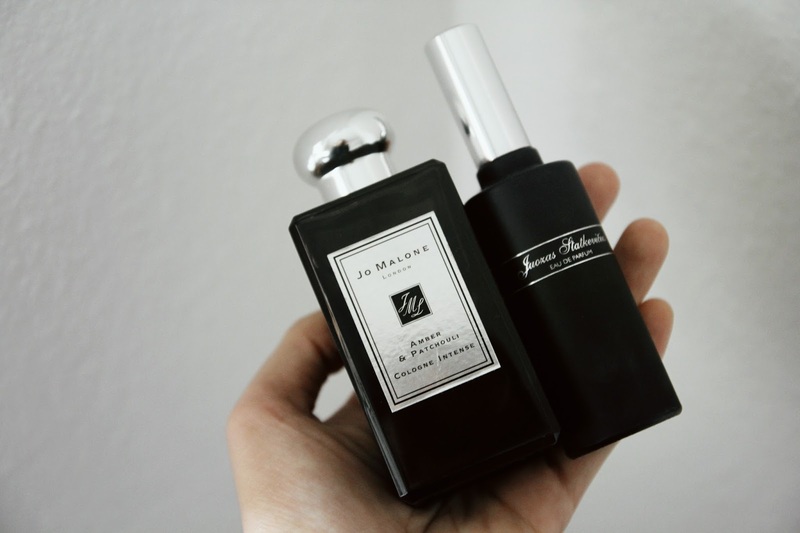 I truly am crazy for scents, especially if they are as incredible as these two. If you ever get a chance - give them a try. Now share what's your favorite perfume! I have been wearing "Pure Bloom" by Sarah Jessica Parker for years - completely girly! 100% floral, winter, spring, any and all seasons for me! One of my secret dreams in life is to design my own perfume, just for myself. It would be so cool to go through that process, in a lab, of picking out scents, and receiving the final, one-of-a-kind product. I love switching perfumes. Can't imagine wearing only one for a long time, but it suits some people, so no arguing in that! And me too! I thought the exact same thing for many many times that it would be such an amazing experience to create a perfume, it probably takes ages till you make it perfect. Me too! Do you have a favorite? Next on my list are Byredo scents! So many to choose from though.